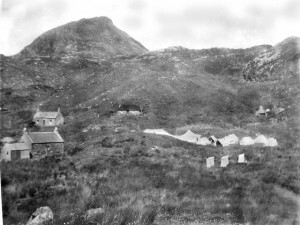 The Schools Hebridean Society had a short, but eventful history. A significant number of school-pupils took part in camping expeditions to various islands and some of these adventurous spirits have maintained contact with the Scottish islands. Aspects of the history of the Society appeared in a series of articles in Scottish Islands Explorer magazine and here, on this website, there is a full account of the 1974 Camp at Rhenigidale. One of the features of the road to the village, not officially opened until 1989, was that some of the primary survey work was undertaken as a project by members of the SHS.